No, it’s not because of the Gainsbourg’ song (featured somewhere on my blog). It’s due to the existence of a Luna park in Melbourne, Australia. The first Luna Park was built at Coney Island, NY, in 1903. 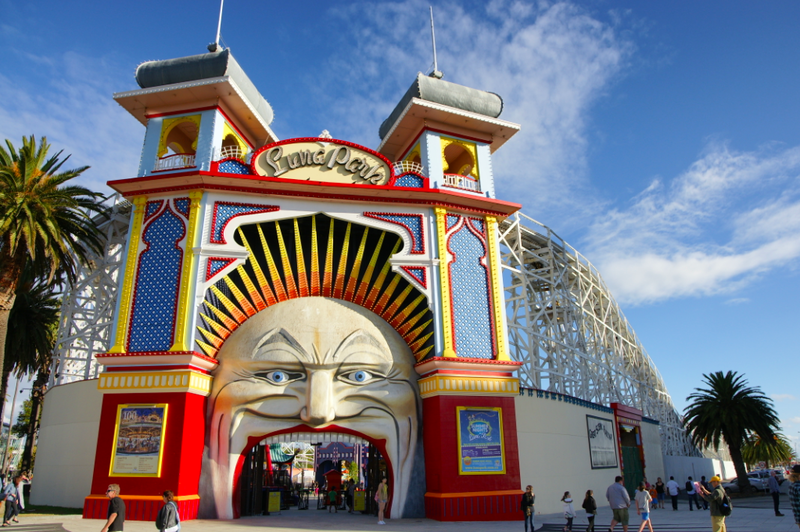 Melbourne’s Luna park was designed in 1912. The Great Scenic Railway was its principal feature when it first opened. The moorish entrance towers and Mister Moon were built as part of the Great Scenic Railway and from 1912 it was a unique example of roller-coaster and amusement park design. It is now the only roller-coaster from this period in operation. 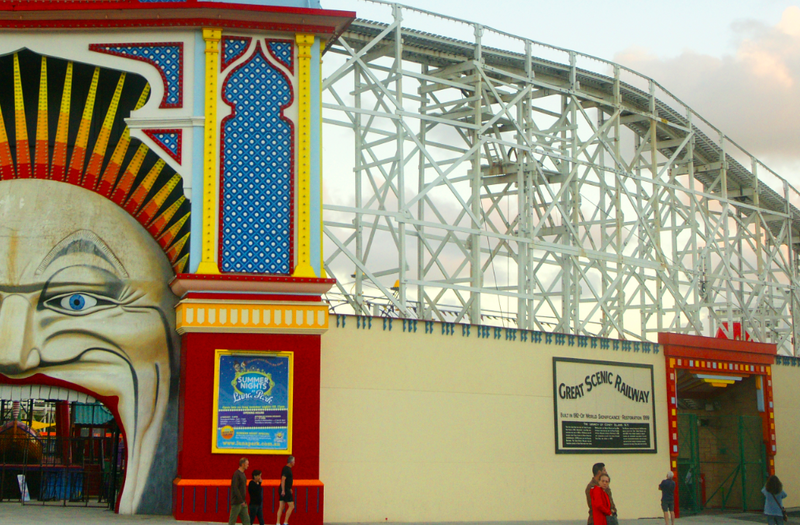 This entry was posted in Australia and tagged luna park by Stephanie Nedjar. Bookmark the permalink.